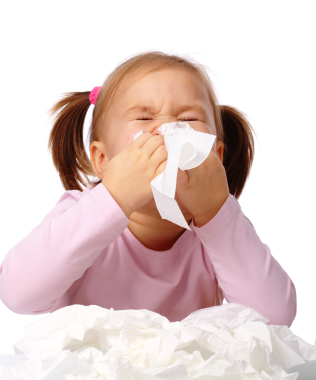 Many people living in Calgary suffer from allergies – our dry, windy weather if perfect for causing coughing, sneezing and runny eyes and noses throughout the year. To reduce the risks for allergy sufferers, Fine Line Homes avoids the use of standard paints and coatings as well as materials that emit harmful toxins such as volatile organic compounds (VOCs). All materials used within the interior spaces of your home are natural, renewable, and will keep your air free of contaminants. We also recommend a highly efficient, state-of-the-art heating and cooling system that uses the smallest amount of energy possible to exhaust contaminated air with a stream of fresh air at comfortable temperatures. And there are innovative filtering devices that can work in conjunction with these ventilation systems to neutralize allergens and even germs from your home. And to limit off-gassing in other rooms of your home, following your new home construction in Calgary we can offer a selection of carpeting made from natural fibers such as corn or wool, or many alternative solid flooring that won’t collect dust and other allergens. To ease symptoms during an especially serious bout, many find using a vaporizer or humidifier to add moisture to the air provides welcome relief. Since the choice between a humidifier and vaporizer depends on personal preferences, this post was created by Fine Line Homes to help you decide which device will work best for you and your family. It’s best to keep your home’s humidity between 40 to 50 per cent, as anything below 30 per cent can be uncomfortable and cause dryness in nasal passages. Doctors often recommend increasing humidity levels even further if a family member has allergies or a cold, and most agree that both devices work equally well for the task. The main difference between a humidifier and vaporizer is the temperature of the mist that’s released into your home. Most humidifiers release a cool mist, while vaporizers release a warm mist of steam. Since humidifiers don’t boil water, there’s a slight chance of spreading bacteria and mold, and a fine layer of white mineral dust may accumulate on the surfaces of your home. Using distilled or purified water prevents this, and during warmer months, many people prefer the cool mist of a humidifier. Many prefer the warm mist of a vaporizer, and the water is boiled the risk of spreading bacteria, mold, and mineral deposits into the air is reduced. Watch your windows, though. Vaporizers will cause condensation on improperly sealed windows. If this happens, do not allow the water to pool and sit, as this can cause warping of the pane. If you don’t use distilled water, minerals will accumulate in the reservoir. They can be removed with diluted vinegar. Some add fragrances to the reservoir and, in general, a vaporizer is less expensive than a humidifier.